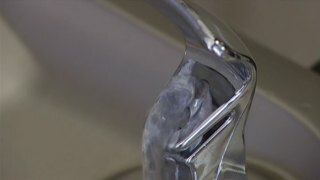 The drinking water in all Alexandria City public schools was tested over the Memorial Day holiday weekend, school officials said Tuesday. The school system said it's not aware of higher than usual lead levels in the area, but did the testing in response to the water crisis in Flint, Michigan. In 2014, Flint began using the Flint River but didn't treat the water for corrosion. As a result, lead leached from old pipes for 18 months. Flint switched back to a Detroit-area water system last fall but the lead problem still isn't fully solved. School officials in Alexandria said the water was tested over the Memorial Day holiday weekend because the water in the building had to be undisturbed for 12 to 18 hours prior to testing. Test results are expected in mid to late June.